From French skincare brand La Roche-Posay comes the My Skin Track UV. 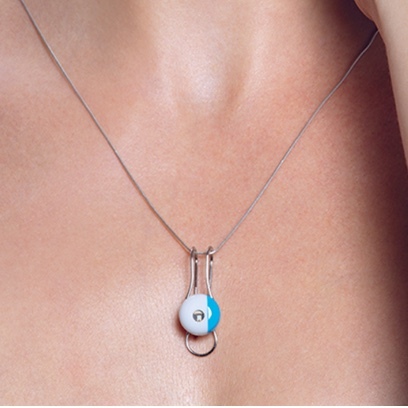 Designed for La Roche-Posay by Yves Béhar, a designer with work in MoMA’s collection, this .5” clip-on tracker utilizes sensors and near-field communication with your smartphone to monitor the wearer’s sun exposure and recommend safer behaviors. Just wear My Skin Track UV a few hours daily and download the accompanying free app to sync data about your personal, real-time exposure to UV, pollen, pollution, heat and humidity—key environmental aggressors that can affect the way your skin behaves and ages. La Roche-Posay My Skin Track UV has a light-emitting diode (LED) used as a detector to capture UV light. Based on your environmental exposure data, the app uses an intelligent algorithm backed by over 25 scientific publications to warn you when your exposure is at a level recognized to contribute to your specific skin concern. The app calibrates your recommended maximum daily allowance based on your skin tone and the UV index. 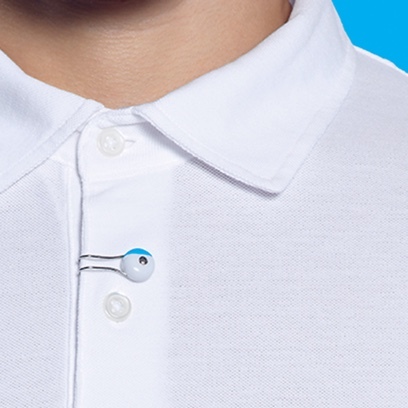 The sensor is battery free—no charging necessary. Waterproof design can be worn while you swim. At MoMA Design Store, we champion new innovations in wearable technology that improve our lives and also encourage healthy habits. 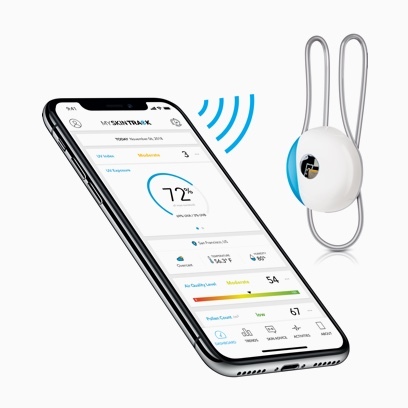 The My Skin Track UV is the first-ever battery-free UV sensor that provides specific data to help us navigate potenial environmental hazards. 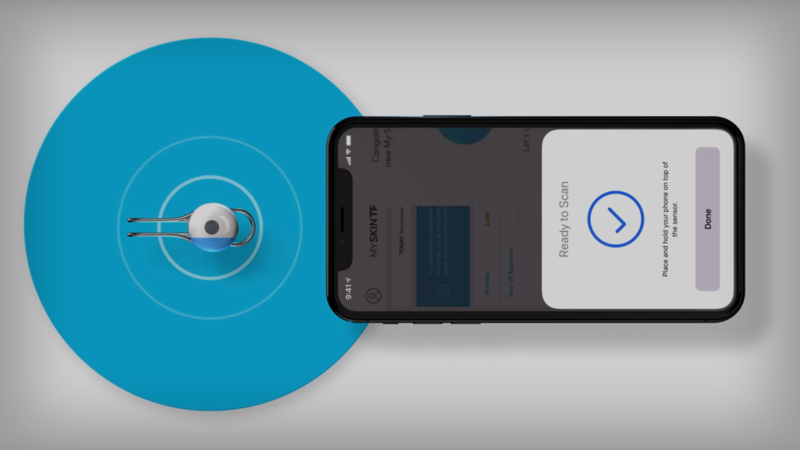 The sensor transfers data to your phone using Near-Field Communication technology, so you can make intelligent choices about your day-to-day behavior. The My Skin Tracker UV echoes themes that have been explored at the Museum. In 2004, MoMA’s exhibition SAFE: Design Takes On Risk featured more than 300 products and prototypes designed to provide physical and emotional protection in dangerous or stressful situations. At MoMA Design Store, we offer the most cutting-edge products that use tech to enhance everyday life. Every item that is selected is product-tested using real-life scenarios, and reviewed by MoMA design curators to ensure that it passes our ultimate litmus test: Is this design truly useful? If it didn't exist, would the world miss it? Wear this waterproof, battery-free LED sensor on your glasses or clothing to measure how much UV light your skin receives daily. The My Skin Track app calibrates your recommended daily allowance of UV and other factors based on your skin concerns, and warns you if you approach your maximum. Gain control over your exposure to UV, pollen, pollution, heat and humidity—key environmental factors that can affect the way your skin behaves and ages.